The weather is getting warmer and the planting frenzy is about to begin. 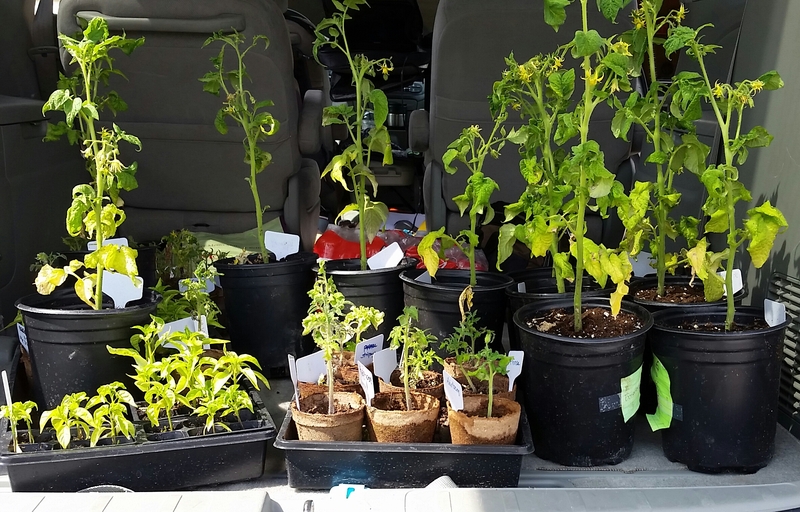 I took the van over to the greenhouse to pull the rest over for planting and sharing. When I walked in, I was greeted by a wall of 100* heat and a sad sight in the lettuce bin. The once fluffy and gorgeous lettuce had wilted and sagged. It’s doubtful that it will perk up again with the high temperatures in the greenhouse. The shade cloth will be going up next week, but it’s too late for round one. Gone before we could taste it. Round 2 has a chance though. I pulled everything else out in fear that the tomatoes would succomb to the heat wave in the greenhouse. All plants are now hanging out in the kitchen garden, waiting to be planted or to go to their new homes. After mourning the loss of so much promising lettuce, the boys and I did some planting. We planted corn and sunflowers out back. 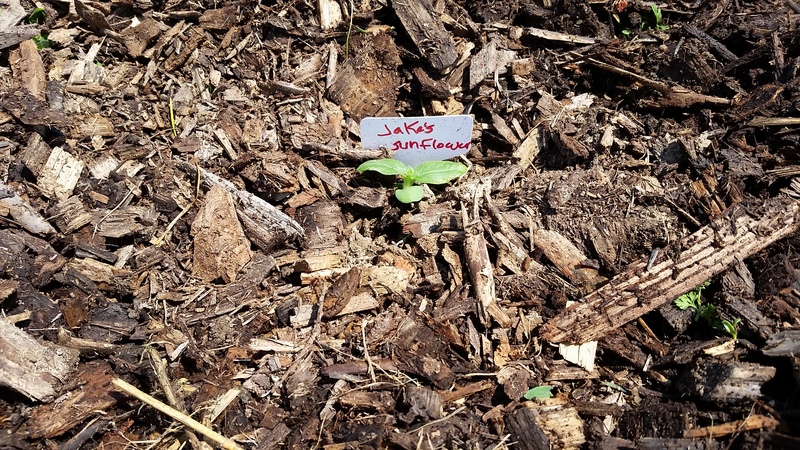 Joe and Jake had each started a sunflower inside. 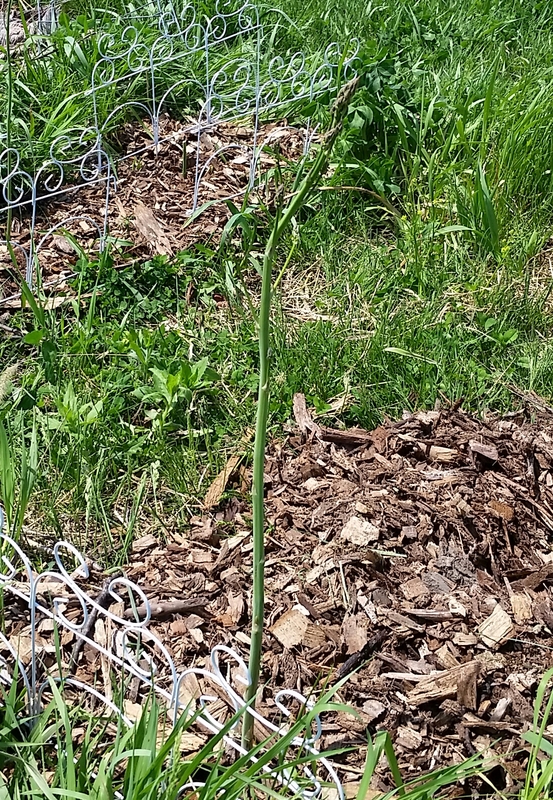 They were getting tall and leggy, so we transplanted them outside, as well as threw down a few more seeds to keep them company. They each picked a spot. Jake started to dig his own hole but quickly got bored so Joe took over. I labeled each plant…the both really liked that. 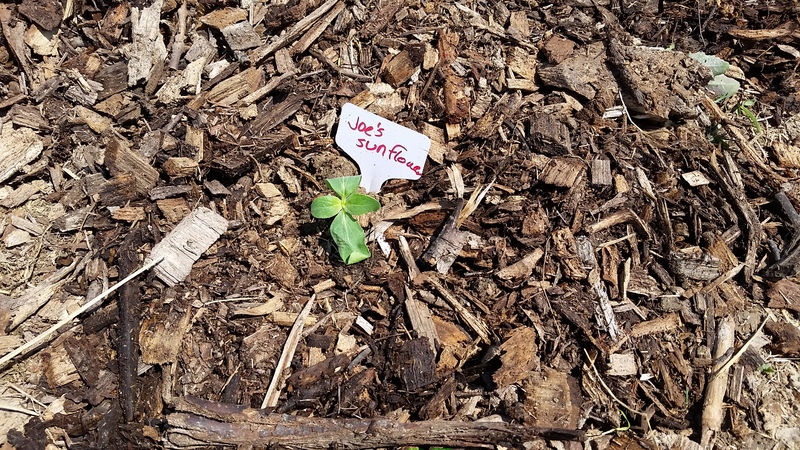 Joe is excited to watch it grow. I’m excited that he’s such an eager little gardener. After we finished there, we stopped by the asparagus patch. We have three spears that shot up this year. We planted nine. I’m told that more will come up. It’s really hard not to cut this one and saute it in some olive oil and garlic, but we need to let it go to seed so we can have even more next year. 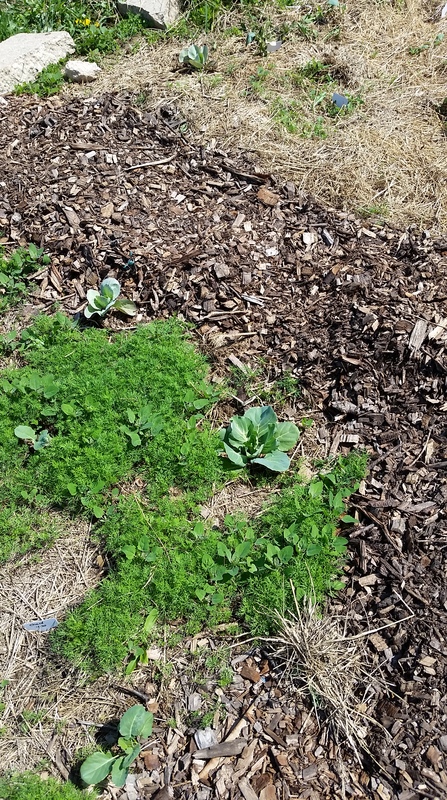 Walking by the kitchen garden, we checked on our cabbage and the blanket of dill that is spreading. We didn’t plant dill this year. All of this is coming up from last year and is perfectly placed to help the cabbage and cucumbers fight off pests. 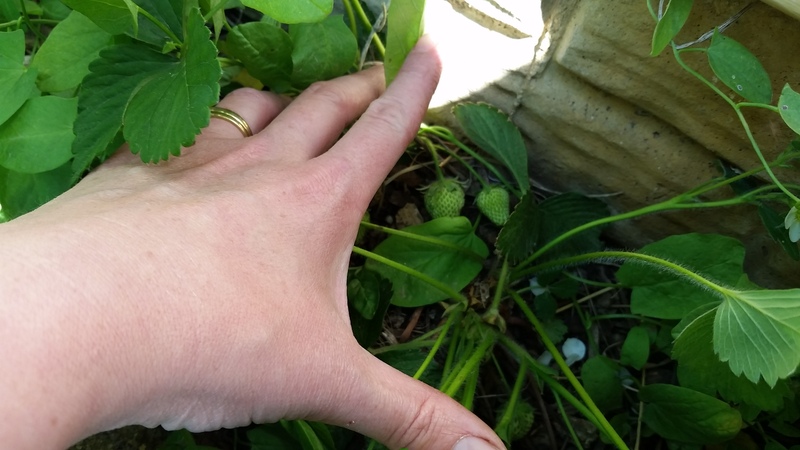 The strawberry patch is flowering and we even have a few green berries forming. 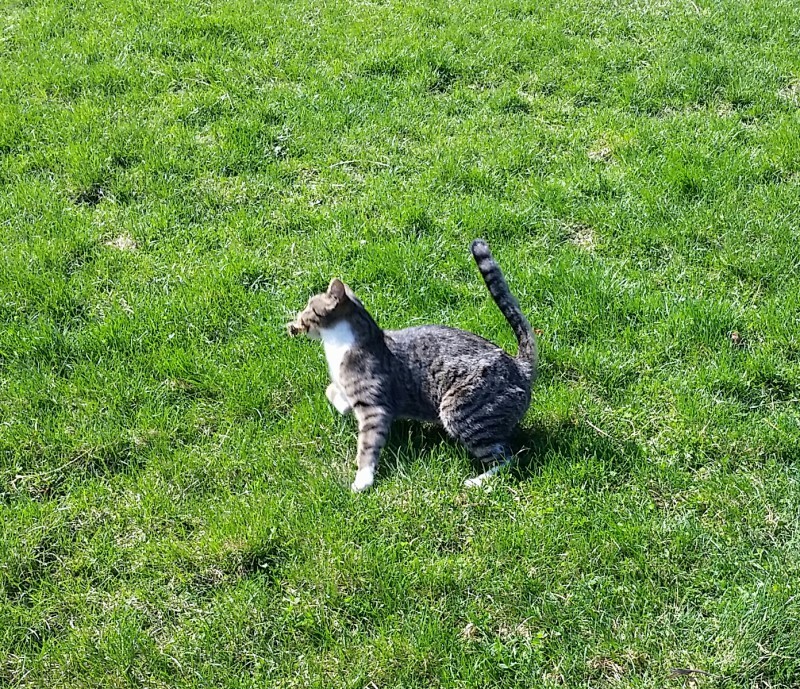 The boys are concerned that they won’t get any so we are keeping it a secret from the birds. I also reminded them that we have Boots and Echo to stand guard. I’m not sure how I missed the grape leaves. All three we planted in 2013 are growing. 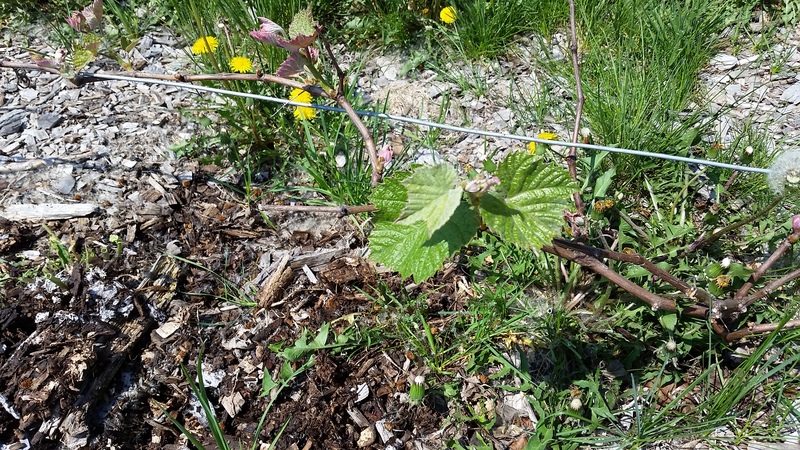 This year, we might actually have grapes! 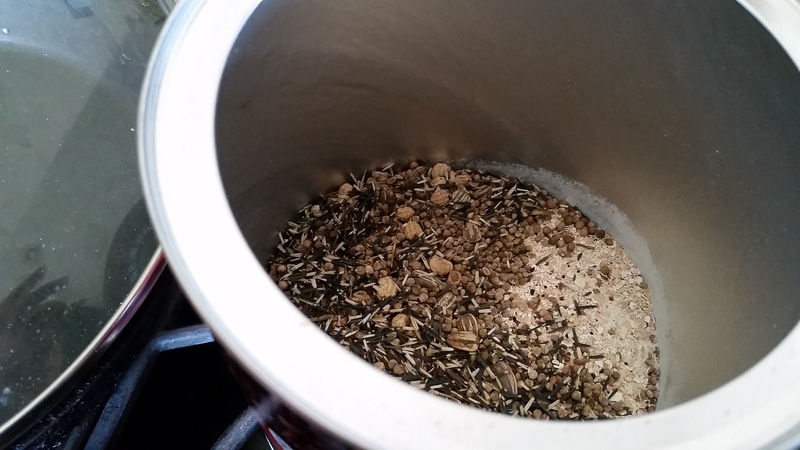 We were all hot, so we went inside to get a glass of water and to make our custom swale seed mix. 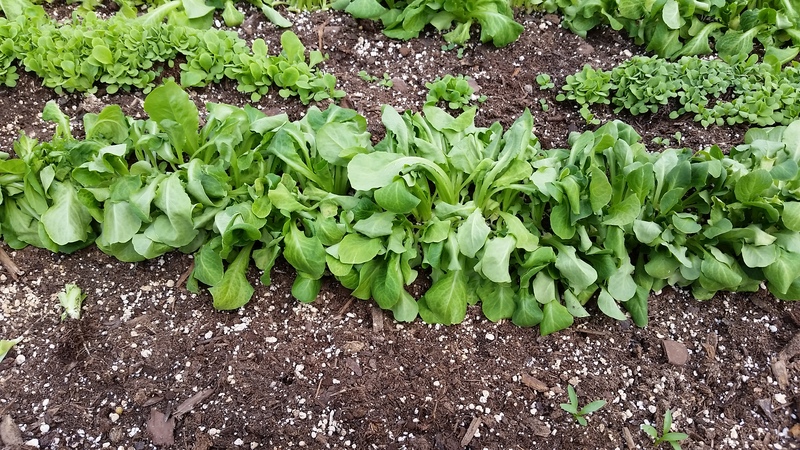 Along with crushed egg shells we have cabbage, dill, chives, radish, chard, marigold, salvia, lettuce, sunflower, nasturtium, amaranth, spinach and cilantro. I need to crumble up some dirt to mix in and then it will be ready to throw in the swales. This entry was posted in Chickens!, Garden Stories, The Chicken Wars, Writing. Bookmark the permalink.